Do you have an excellent website with highly relevant content? Do you have a very good product which you are selling online through your website? Do you have a quality blog which speaks about important issues? All this would be rendered useless if your site do not feature in the initial few results of a Google search. Search Engine Optimization is the most important aspect of today’s online marketing. Content is the key to succeed in search engine optimization. Have a quality content which is relevant to the key word and the Google spider will definitely like your site. Professionally written high quality content will make the search engine rank your site high and at the same time the people who visit your site will bring in more people if they like what they read. Backlinks is the second most important element you have to concentrate on. 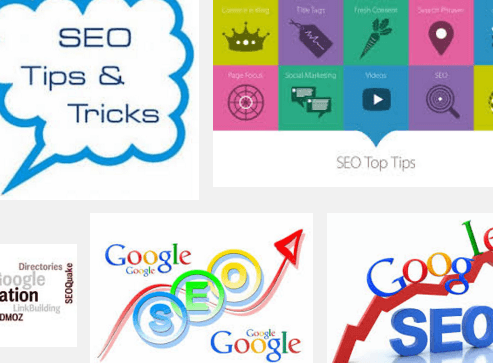 Backlinks are the links placed in other sites which when clicked directs traffic to your site. The search engines give huge weight age to the number of back links a site has. But having back links just for the sake of rankings might be detrimental. Make sure the back link building is contextual. Having Java drop down menus or image links is a useful way to get the attention of the search engines. But make sure you have some text links for the search engine spiders to follow. Have a keyword focused and unique title tag on each page of your site. Use your business name in the tag only if you want to as unless you are a very famous brand, people are not going to search your company name. Focus on keyword phrases instead of standalone keywords. Like if your site is about holiday packages don’t just stress on the word “holiday packages” instead you can stress on “affordable holiday packages” or “holiday packages in Caribbean”. Make sure your website designer understands the importance of SEO and do not construct your site before both of you are very clear as to the goal of your site. It will save you a lot of time and effort. You can build a flashy website with lot of images and visual treats but a search engine spider understands only text. If you are going to redo your site after failing in the search engine rankings it is going to cost you a lot of money and time. So design a site that is search engine friendly. Don’t over stuff the keywords as search engines are looking for a natural flow of the content. If the keyword count is too much and if it appears very artificially over used then it might go against you. Make sure your site is easy to navigate as this is one of the criterion search engines look for. Link other sites to yours and they will return the favor. Make sure you link to and get links from quality sites. Having your link placed in a spam site will be very detrimental to your rankings.